As we frequently mention, ChARM EHR is constantly adding new updates and features based on your feedback. In addition though, we also like to add new features based on things we are guessing that you would like. So we went out on a limb, and guessed that you would probably like an opportunity to use ChARM EHR for free! That's right. We have now implemented a subscription plan that allows you to use ChARM EHR completely free if you have 50 or less encounters per month. Now there's no excuse not to try ChARM EHR! CLICK HERE to give it a shot. But of course, we've added some other neat things as well.In our never-ending quest to deliver the best customer support possible, we have added "chat-for-support"and sales related questions. So if you want a quick answer for something without having to pickup the phone, simply type a message in the lower right hand corner chat box of our webpage, and we'll get right back to you. Lastly be sure to check out our new FAQ section on the top right of our homepage where we've addressed a bunch of questions you may or may not have thought of! P.S. 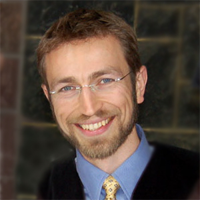 Don't forget to CLICK HERE and register for Dr. Igor Schartzman's upcoming ChARM EHR Webinar and demo this Friday, February 15th at 10:00am PST. P.P.S. If you can't make the webinar, fear not! This webinar along with all previous webinars are posted for you to watch in case you can't make it to the live event.